Stage 2 Video based in Denver, Colorado produces Emmy-award-winning promotional videos, short films, TV spots and PSAs that inspire audiences and ignite growth. 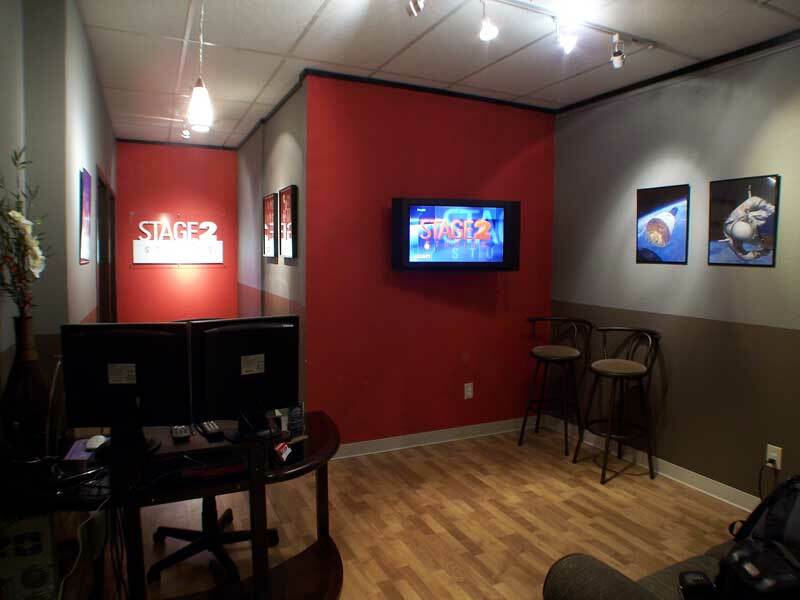 Stage 2 Interactive near Seattle, Washington develops science-themed apps and games, helping clients like the US Department of Education impact students across the nation, and engaging gamers worldwide. We are strong supporters of education and community service organizations. Our clients are a mix of for-profit and non-profit entities, and we believe every organization and business must communicate their message effectively. When it comes to our creative perspective, we are pragmatists. We believe design is a communications tool first and an art form second. Good design channels a particular message and should reflect the client’s or project’s goals, not the designer’s artistic tastes. To this end, we work hard to truly get to know our clients and their objectives before we advise on creative solutions. Our ultimate goal is to produce media that is innovative, engaging and meaningful: the kind of media that gets results. David leads the interactive division of Stage 2 Studios. He studied graphic design and business administration for his undergraduate education. David has extensive experience in software development, 3D modeling and animation. Under David’s leadership, Stage 2 has worked on multiple assessment modules for the National Assessment of Educational Progress (NAEP). Known as “The Nation’s Report Card,” this program of the US Department of Education is “the largest nationally representative and continuing assessment of what America’s students know and can do in various subject areas.” In addition, David has developed websites for numerous nonprofit clients including the National Center for Science Education. In 2011, David successfully Kickstarted a science fiction video game called “Lifeless Planet” which eventually made its way to all major platforms including Xbox One, PlayStation 4, and Nintendo Switch. The follow-up game “Lifeless Moon” was funded in 2017 and is due for release in 2019. David is an active supporter of nonprofit agencies and has served on several nonprofit boards including the Alaska Museum of Science and Nature. After twelve years in Alaska, David and his wife recently moved to the Seattle, Washington area with their two husky-mix dogs from the Alaska Dog and Puppy Rescue. David is an amateur astrophotographer in his spare time, Seattle weather permitting. John is the lead commercial filmmaker for Stage 2’s Denver-based film and video studio. He has over a decade of experience in video production for TV, long form and short form documentary, and promotional DVD. No less than seven Emmy awards have been awarded to documentary films and promotional videos directed and produced by John in just the last three years. John brings a unique creative perspective to filming and is an accomplished editor and visual effects designer. John’s earned multiple undergrad degrees (in history education and theology) that taught him the significance of communicating the story behind the message and the power of concept-driven filmmaking. John is a strong supporter of nonprofit agencies and his past service includes the Board of Directors of the United Way of Mat-Su in Alaska. Originally from Alaska, John now lives in Denver with his wife and a set of season tickets to the Denver Broncos. Susan had nearly fifteen year of experience in banking before she co-founded Stage 2 Studios. Her extensive knowledge of finance and operations management has been a tremendous benefit to both Stage 2 and its clients through the years. Additionally, she frequently takes the lead on client communications and content management for more complex projects. Susan studied Business Administration at East Texas Baptist University. Jazon holds a Bachelor of Science Degree in Computer Science from the University of Alaska, Anchorage, where he also teaches a course in Unity game development. Jazon is a gifted computer programmer, successfully developing two games for the iOS platform, the first of which was published by Electronic Arts. His knack for writing clean, concise code and refactoring old code was extremely beneficial in his role as lead Xbox One programmer on Lifeless Planet. Stage 2 derives its name from the massive second segment of the Saturn V moon rocket. Advanced rockets like the Saturn V are actually several rockets placed on top of one another. The first rocket, or “stage” ignites on the launch pad and lifts the craft off the ground. Then it drops away and the second stage ignites, taking the crew into outer space. The image at right shows stage two and its engines being lowered by crane onto the first stage in preparation for launch. Stage 2 Studios represents a collaborative agreement between the independent companies Conn, Inc. of Alaska/Colorado and Board Media Group, LLC of Washington.